April 28, 2012 — Seven Ethiopian protesters were shot and killed and another sixteen were wounded last Friday afternoon, after government security forces opened fire against unarmed Muslim demonstrators in Asasa, Ethiopia. The incident took place when government forces surrounded a mosque and attempted to arrest Sheikh Su’ud Aman, a prominent Muslim scholar of the town. After local demonstrators rallied behind him in support, government forces unleashed a hail of gunfire that reportedly killed Sheikh Su'ud Aman and six other protesters. 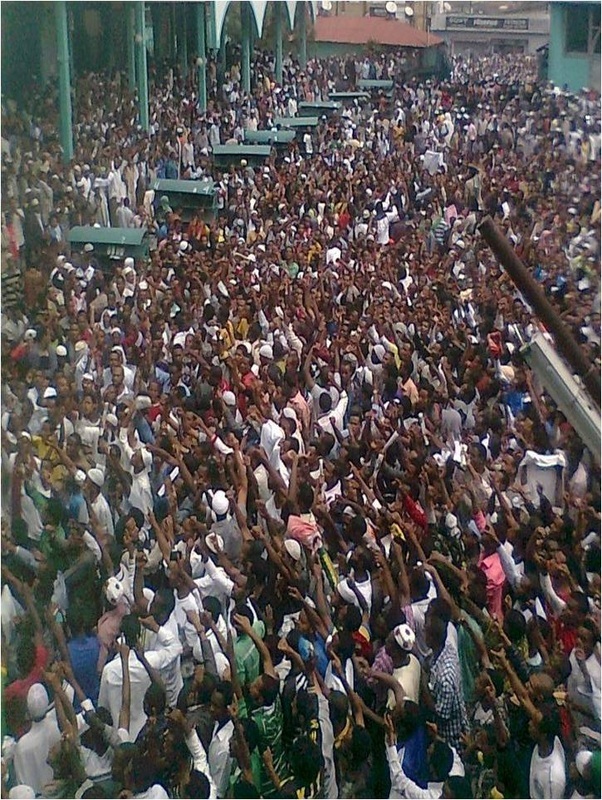 Going into its 16th week of demonstrations, Ethiopian Muslims have had the largest rallies the country has witnessed since Ethiopian despot Meles Zenawi took power in 1991. 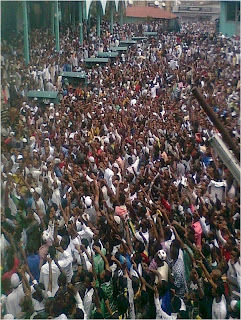 Claiming oppression and interference in their faith by the ruling party as their cause of mobilization, hundreds of thousands of Ethiopian Muslims continue to take to the streets after Friday prayers. Despite the massive nature of the protests and the heavy-handed crack down that have accompanied it, little international press have covered the events. The increasingly autocratic premier continues to prevent journalist from accessing areas where demonstrations have taken place to cover up the numerous crimes his security forces are alleged to have committed. In some cities, reports have said low level rank-and-file members within the regime have been sacked for sympathizing with the demands of the demonstrators, as Zenawi continues to prefer to take a heavy-handed approach towards Ethiopian Muslims. As more Ethiopian Muslims vow to take to the streets after the death of their comrades and government forces continue to use lethal force to quell demonstrators, the situation looks to ignite into a full-blown revolution that could threaten to unseat Zenawi from power.